Do be realistic about what you can and cannot do as the caregiver: Cone thing I always tell be is that burnout is a self-inflicted syndrome when a caregiver takes on more than they can handle. Share the load by making a list of tasks so that others in the family can lend a hand in errands. If something can be accomplished by a phone call, anyone can help. Don’t wait for an emergency to talk. For instance, if you are providing a senior care, get in the habit of having a regular family briefing. Those who are not there on a daily basis need to know what is going on so that they can lend their help and their support wherever possible. Do share how you feel about the workload. You will only grow to resent the other siblings if you don’t talk with family about how you may really feel. And at the very least, siblings can lend moral support…a sympathetic ear when you need one. Don’t forget that respite care is good for all. I talked about this in the past two postings (embed the links to the past two postings here). If you find others inside and outside your family who may be caregivers to someone else, you can share bring together a number of older parents who benefit from the social stimulation while the absent caregivers benefit from the break. Do appreciate that technology facilitates better communication. 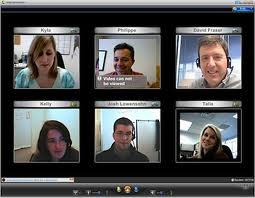 Don’t hesitate to use the information highway – complete with WebCam or Skype to make a group meeting more effective. Or create a bulletin board to post late-breaking news where family can make suggestions or pitch-in. Don’t overlook the support groups for caregivers. Just as important as the pooling to get a respite is finding groups of people who can get together to lend the support that comes from having been down that path…from presently being on the same path as you are as a caregiver.